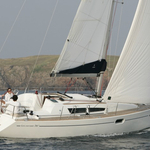 Aiolos is a name of boat Sun Odyssey 36i ,which has been built in 2011. 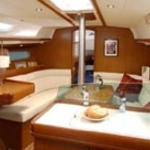 You can rent this yacht from marina Athens in the surrounding area of Athens. 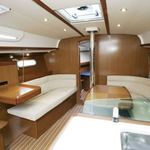 Aiolos is furnished with 6 beds. 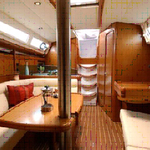 Berths on the boat are arranged in 6 scheme. 2 cabins are situated inside the sailing boat Aiolos. 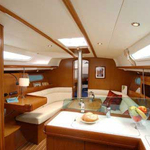 Use our website to find different boats clicking here: Yacht charter Athens. 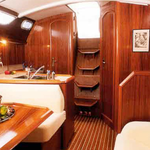 Crew members can feel comfortable on this sailboat , because there are 1 toilettes with showers for their disposal. With 130.00 l liters in tank for fuel you can sail really far and still be independent because of 335.00 l liters in water tank. Aiolos is driven by motor 29 HP. 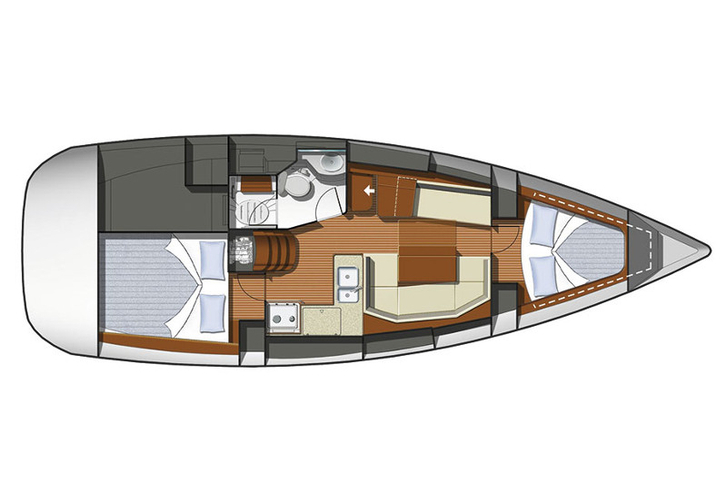 Boat's dimensions are: lenght - 10.97 meters , beam - 3.59 m and 1.94 meters of depth. 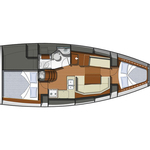 On the vessel is placed following equipment: Gmdss, Autopilot, Gps plotter, Gps, Bed linen, Radio cd mp3, Radio / cd player, Towels, Bimini top, Dinghy, Anchor electric windlass, Wc pump electrical, Solar panels, Mainsail with lazy jack. . Deposit is 1500.00 EUR. 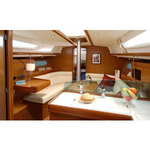 In our search machine you can quickly check avalailability of boat Aiolos from Athens by opening this link: Yacht charter Greece.